We are offering all our Climbing Frames Australia customers the chance to win a full refund on their purchase! All you have to do is leave us a review featuring a picture of your product. Our climbing frames are large investments for most people so this is a fantastic chance to win back all that money you spent on your playset! If you're interested in entering our competition then please follow the step by step guide below outlining how to leave your review. 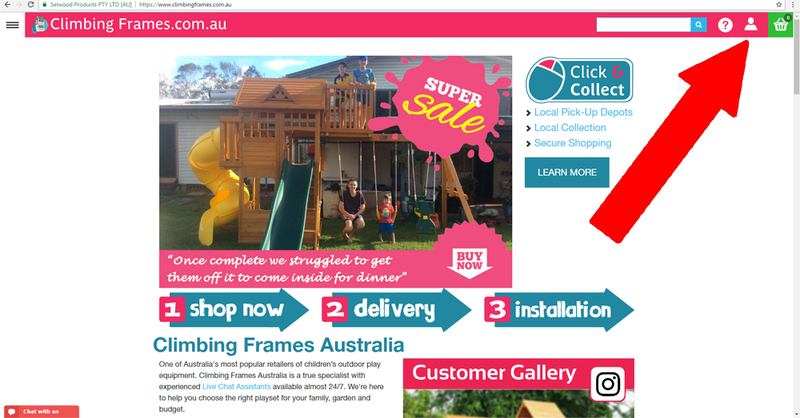 You can access your account by going onto the Climbing Frames Australia home page and clicking the person in the top right (see picture). This will then ask you to log in if you're not already. Click here to go to 'my account'. On the left hand side there is a list of options. 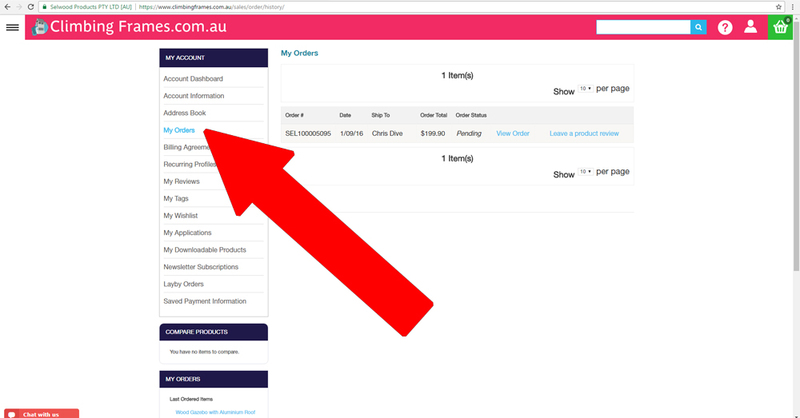 Click 'My Orders' (see picture). 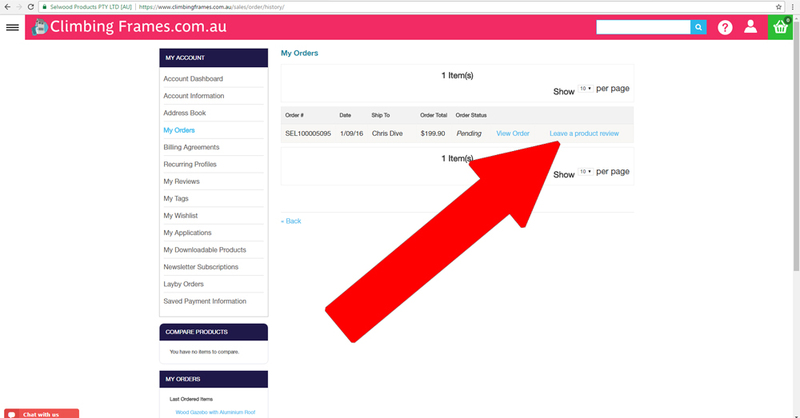 This should bring up any purchases you have made from us. 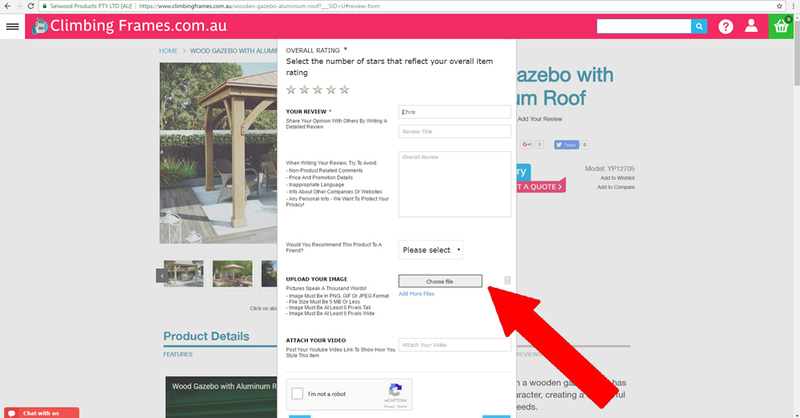 On the right hand side of the same page next to the product you have purchased should be an option to 'Leave a product review' - click this (see picture). You should now be faced with a screen such as the one pictured below. Simply fill out the form to be entered into the competition. It is important to note that an image must be included, otherwise your entry will not be counted.